from a team you know and trust. Park steps from the door and join us in our relaxing environment. Dread the wait to see the Doctor? Join us and ditch the wait. 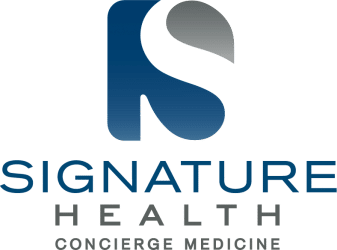 Signature Health will change the way you view healthcare. You don’t need to dread those appointments any longer. Going to the doctor will actually be as comforting as having coffee with a friend (and our office does have a beverage station if you would like a cup when you arrive). Dr. Rob Spiegel, founder and chief physician of Signature Health, knows his patients and their families. Individualized attention, exceptional care and a friendly atmosphere are cornerstones of his practice. Our professional and passionate staff, Pam and Blake, will also truly be glad to see you. Because The Doctor Takes The Time To Answer Your Questions and address all of your health concerns. We understand that you’re busy and your time is valuable. We’ve also set up our fee structure to be the most competitive concierge practice in town. We’re the only membership-based doctor’s office to offer an “under 40” discount, a spouse or partner reduced rate, free coverage for member’s children (ages 16 through college) and care for visiting family members. Many patients have switched to Signature Health due to these and other advantages. For more detailed information, please visit the FAQ section of our site. Or if you would like to set up a tour of the office or have additional questions, call our helpful staff at 205-380-8820. My wife and I became patients of Dr. Rob Spiegel in April of 2010. 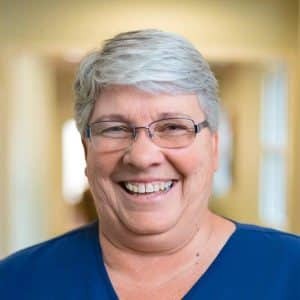 Susan had very poor health and I am convinced years were added to her life due to the care of Rob and his staff, Pam and Blake. Their home visits the last few months of her life meant so much to both of us. I highly recommend Dr. Rob Spiegel and his staff. Dr. Spiegel took over care of my grandmother and he has given her quality of life again. I will never be able to adequately thank him enough for the kindness and compassion he has shown. He has allowed her to live out the remainder of her life as she wants to, without pain and at home... and that is priceless. Dr. Spiegel provided a compassionate and caring hands-on approach to my mother’s care. He communicated regularly with the multiple specialists involved in her care and kept us informed of the important things we needed to know. He genuinely cared if my mother was having a good day and always listened intently to her. His excellent medical skills were matched by his warm personal touch on his daily visits. Dr. Rob Spiegel is a "top tier" internist with a wealth of medical knowledge and excellent clinical skills. During his years as a hospitalist at St. Vincent's, I have been impressed by his comprehensive and compassionate care to his patients. Along with his organized and pleasant manner, he has all the essential attributes to be an outstanding concierge medicine physician. I have known and worked with Dr. Rob Spiegel for several years. He is a skilled, compassionate physician, a mentor for new physicians and a nurse advocate. He spends time with patients and their families explaining tests procedures and the plan of the day. He is very current on new "trends" in medicine. He is the kind of physician that you want for your family.....and he has a great sense of humor too. Rob Spiegel is the quintessential doctor. He strives to give patients the utmost appropriately aggressive care. There has never been a time that I have needed him that he was not there for my patients. He is a true star in the field of medicine.